WAKE UP ONTARIANS: You are being robbed of Car Insurance Coverage by the Insurance Industry’s Back Door Lobbying! The insurance industry is trying to pass with expedient haste and through the back door — a new law — to eliminate any punishments against the insurance companies for not paying for treatments to the car victims. NDP MPP Jagmeet Singh commented while the proposed bill reduces costs for the insurance industry, there’s no proof that companies will pass on the savings to the consumers. “We know that we need to get at the true profits that the insurance companies are making and we know that the profits are there,” Singh said. I think this issue was put very well by Alan Shanoff on March 15, 2014, in an article written for the Toronto Sun entitled “Little Benefit for Victims”. He summarizes his response to Bill 171, Fighting Fraud and Reducing Automobile Insurance Rates Act. Now, I challenge the Liberal government, I challenge the members on the other side, to show me how this bill, particularly the two components I talked about-how will changing the dispute resolution system from the FSCO arbitrators to the Licence Appeal Tribunal reduce fraud? It won’t. I dare you to show me how it will. You can’t show that. So your title that says “Fighting Fraud and Reducing Automobile Insurance Rates Act” in that regard is false. I challenge you to show me how reducing the interest rates charged to encourage insurance companies to settle quicker-reducing them from 5% to 1.3%-reduces fraud in any way. I challenge you to show me how that reduces fraud. You won’t be able to show me that. Again, the title “Fighting Fraud and Reducing Automobile Insurance Rates Act” is false in those two areas, and those are the two biggest components of this bill. Now, the article written by Mr. Shanoff was quite to the point, and I love the way he summarized this issue. In his final summary of this issue of Bill 171, he writes, “I can see where reduction of interest rates, removal of special awards and shunting cases away from experienced, independent arbitrators would benefit insurance companies. “But where is the benefit to drivers and accident victims?” I agree wholeheartedly. Reading from Mr. Shanoff’s article again, if we’re really serious about protecting drivers, Mr. Shanoff writes, “Another real way to protect drivers is to provide arbitrators with the power to penalize insurers that act unreasonably in withholding or delaying penalties.” If arbitrators had a tool of that sort, they could use this to send a message to penalize insurers if they’re acting unreasonably. This power exists right now. Mr. Shanoff writes: “Actually, arbitrators hearing accident benefit cases currently have that power under the Insurance Act. I ask the government again to explain-Bill 171 eliminates this power, gets rid of this ability for the arbitrator to penalize an insurer if they’re withholding a sum or a settlement-how getting rid of this power, getting rid of this ability to penalize the insurers for acting inappropriately, for acting unreasonably, in any way reduces fraud. How does getting rid of this power in any way protect consumers? Actually, I’m going to quote from the article by Alan Shanoff. Now, I’m quoting the Toronto Sun, so you never really know what you’re going to end up in a day-but Alan actually rightly points out, and he takes exception to, the haste. He says, “But what is most objectionable about Bill 171 is the haste with which it has been introduced-just two weeks following release of the Ontario Automobile Insurance Dispute Resolution System Review by J. Douglas Cunningham, a former Associate Chief Justice of the Ontario Superior Court of Justice”-very well qualified. Once again, and this seems to be a trend that we have seen in this House, a piece of legislation comes to the floor and there are gaps in that legislation. The promise or the offer is put out, “Well, let’s get this to committee and fix it.” This is something that I do not understand. Why don’t they just bring the legislation, in its full entirety, to the floor of the House so that we could actually have a productive conversation and a debate about Bill 171, in this instance? Some insurers want Feb. 1 changes to auto insurance benefits applied retroactively. The Ontario government quietly changed the law in December, 2013 effective February 1, 2014 reversing an earlier decision made by the unanimous penal of Judges of the Ontario Court of Appeal. The insurance industry does not want to pay proper compensation to the caregivers of the accident victims. If your child or a spouse was bedridden because of the car accident and you left your job to look after him/her, your compensation would be limited to the amount of your income. Even if you now work 24/7 your pre-accident (part-time or full time income) will limit how much the insurance company has to pay you. The caregiver can effectively work below the minimum wage. Parents or spouses may have left their jobs to provide attendant care: including feeding, dressing, toileting, bathing, transportation to and for clinics, purchasing and and administering medications, or cooking, but they cannot be compensated for their work appropriately because of this new law. Since attendant care benefits are not available for victims who suffer only minor injuries in car crashes and are significant only for those who have suffered catastrophic injuries, this will harm the most vulnerable victims. This is incredibly mean-spirited. The insurance companies are laughing all the way to the back as the seriously injured car accident victims being robed off essential care yet once again. This approach will certainly lead to numerous disputed claims and delayed payments for attendant care accident benefits. Claims will face lengthy delays as they proceed through the mediation and arbitration or court challenges. The government agency that mediates these disputes was forced to hire another unregulated agency to deal with the backlog. The government passed this regulation without any advance notice or public consultation. This law must be reversed. Neglecting to take this step would show bad faith by the provincial government towards accident victims and a lack of regard for procedural fairness. I view this reduction in accident benefits as insurance industry attempt to keep its billion dollar profits and shielding themselves to the government’s promise to reduce auto insurance premiums by 15 percent. I don’t remember NDP Leader Andrea Horwath’s demand for a 15 percent premium reduction in auto insurance rates being tied to reductions in auto insurance coverage. I don’t recall Premier Kathleen Wynne announcing the 15 percent reduction as part of a package which included less insurance coverage. After all, ANYBODY can promise and deliver an insurance rate reduction WHEN coverage is reduced. Perhaps she believes voters will only remember her demands for the premium reduction and will ignore the fact the reduction is being used as an excuse to reduce coverage and thus harm accident victims and their families. The Ontario Superior Court released its decision in Zantingh et al v. Jerry case involving a dog bite of a little girl. The court thoroughly reviewed the law in dog bite cases. Justice Leach awarded $60,000 to the minor plaintiff in general damages for “noticeable, pronounced and obviously disfiguring scars”. This case is also important for the individuals who look after the children who have suffered dog bites. The Judge reviewed the issue of contributory negligence of a caregiver looking after the child of tender years. No contributory negligence was found on the part of the caregiver. The Judge awarded damages to the parents and sibling of the minor. Title: The Judge in the Hamilton Court comes down hard on the insurance company for delaying compensation to the car accident victim. 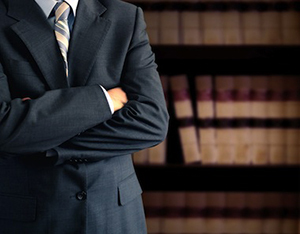 In the case of Ross v. Bucchus, the plaintiff Ross was injured in a motor vehicle accident. He was awarded $248,000 after a six-day trial in Hamilton. Unsurprisingly, the trial was expensive. The plaintiff’s trial costs were at $140,000. The plaintiff’s lawyers were seeking additional $60,000 for the defendant’s (represented by his insurance company Certas) failure to comply with its obligations to mediate the case as dictated by the Insurance Act. Justice Ramsay noted in his decision that although the lawyer hired by the Insurance Company Certas representing the defendant did agree to a brief mediation at limited costs , they had advised the plaintiff they were not interested in settling this case. Justice Ramsay inferred that the insurer was conducting itself in such a way in hopes of intimidating the plaintiff and deterring other plaintiffs who had meritorious cases. The defendant has provided an offer to settle for $30,000.00, the plaintiff’s offer was $80,000 before starting the trial. Justice Ramsey noted that it took a 6-day trial with all its attendant risk for the sake of $50,000.00. which the defendant could afford and the plaintiff could not. He found that the defendant did not attempt to settle expeditiously as required by the Insurance Act and the mediation was described “as a sham”. By refusing to mediate the trial judge augmented the cost award by $60,000 plus HST. This is a marked victory for the litigants who seek justice for their injuries. Finally, the courts have send a strong message to the greedy insurance corporations. This is a reaction to the years of insurance intimidation towards the litigants with limited means to have their cases heard by the court.